The Sun Dolphin 5 pedal boat with canopy seats 2 adults and 3 children. This versatile pedal boat comes standard with a built in cooler and drink holders. 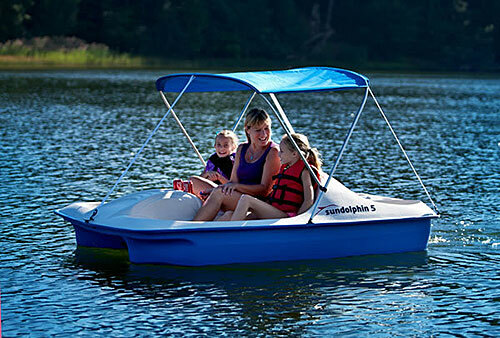 The Sun Dolphin 5 is an economical family size pedal boat that will provide hours fun on the water!